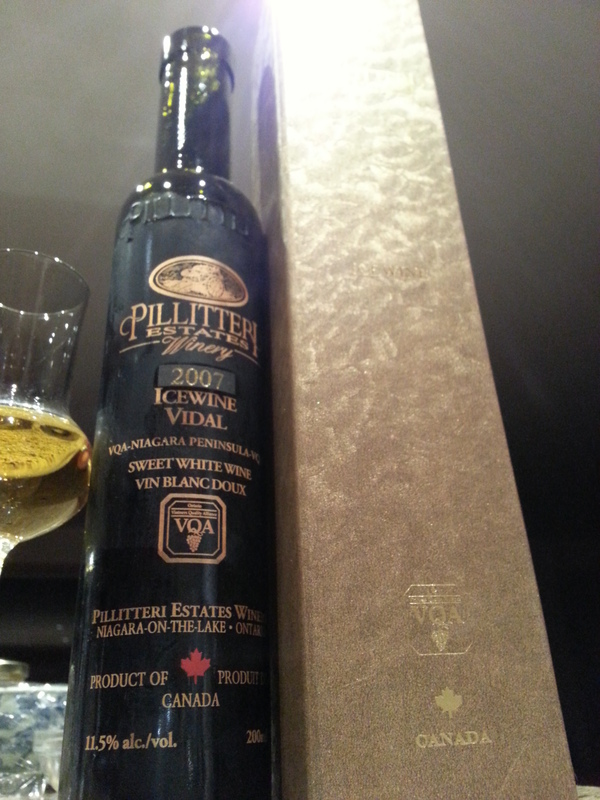 “Tasting Notes: A bright, alluring, golden color hints at the elegance of this absolutely stellar Icewine. 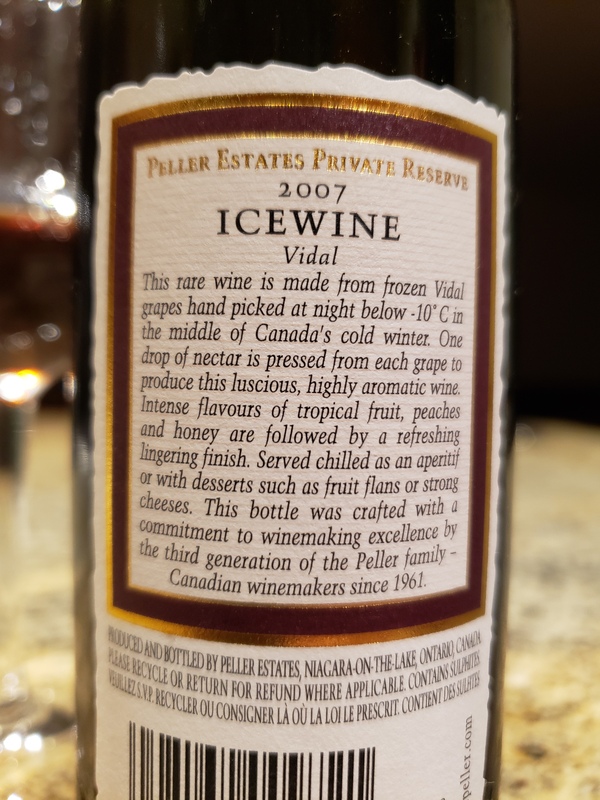 A taste of this Icewine reveals its full opulence with the richness swirling gracefully and filling the palate with an explosion of lush fruits of mango, passion-fruit, pineapple and lychees. The fruit driven sweetness is supported perfectly with the well-balanced acidity and the lavish, lingering heat. Fantastic with exotic fruit salad, crème caramel, Roquefort cheese, blue cheese, or simply on its own after a beautiful meal. For a sweet experience, try it with foie gras. This wine will age beautifully for at least 5 years due to the high yet balanced acidity. Taste Profile: dense apple sweetness -> alcohol/mango/pineapple/peach -> warmth/acidic/fruity sweet finish. 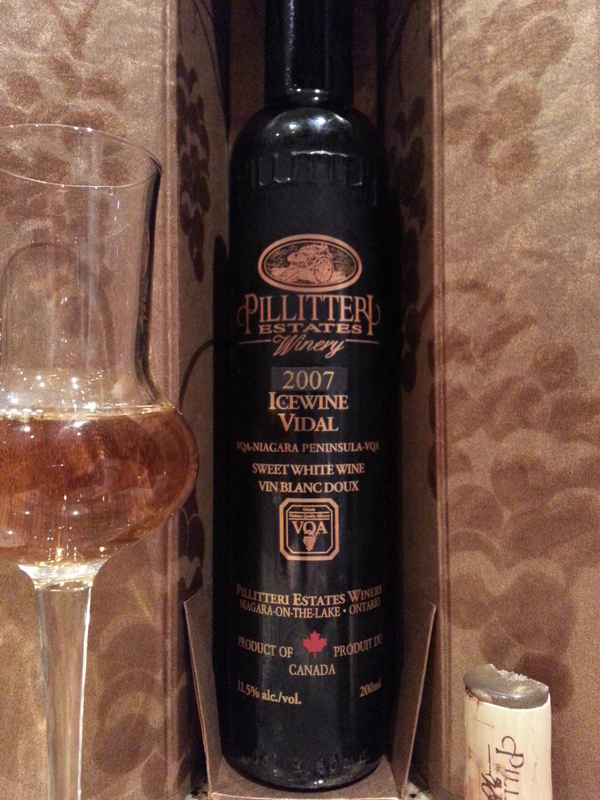 Visual: Canada, known for it’s subzero temperatures and vast landscape has an ideal climate to produce icewine. 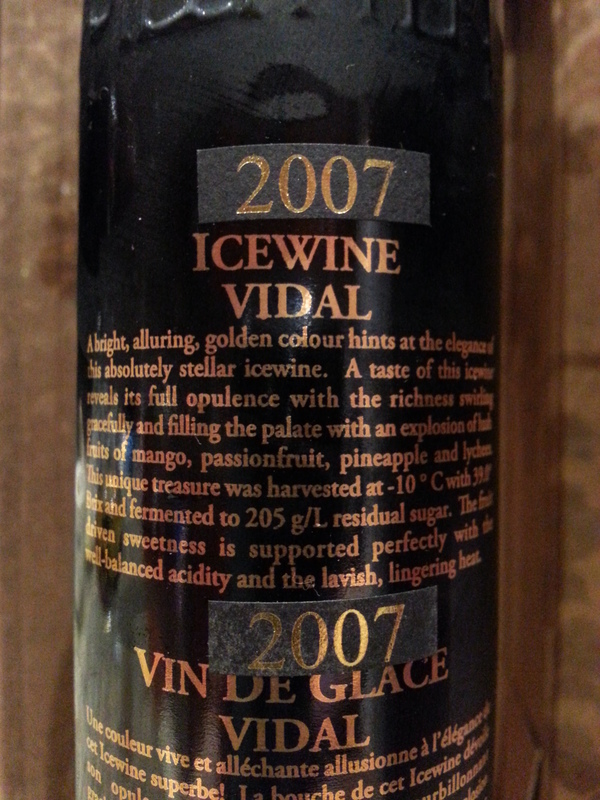 In fact, Canada has surpassed Europe and USA to become the world’s largest icewine producer (wiki). With such low yields, prices of premium icewine ($75/375ml) have almost reached the same price per ml as XO Cognac ($150/750ml). As with any premium product, not only is it about what’s in the bottle, but also what’s outside the bottle, namely the packaging. Pillitteri has done a great job with it’s textured, glossy paper wrapped cardboard box with sealed by a magnetic clasp. A warning though, 200ml is BARELY enough for one person, let alone two… Pours dense golden yellow-orange, clear as water. Nose: sweet peachy pineapple, with hints of passionfruit. (8)-aromatic strength. Finish: (7)-alcoholic warmth, tangy-acidic, fruity clean-sweet finish.